This isn't much of an update because the Council is keeping us pretty much in the dark about what's going on and trying to get information is proving very frustrating. But we wanted to let our members know what we have managed to glean. 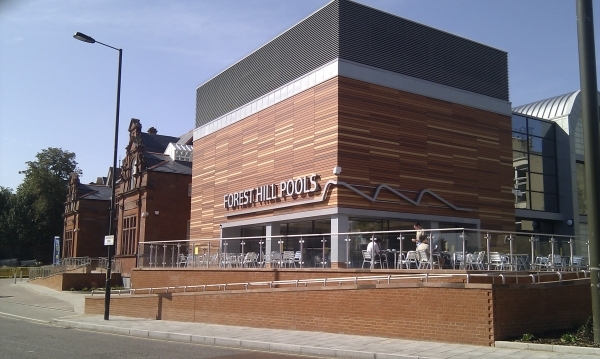 In October the Council commissioned further feasibility work to examine how a two-pool leisure centre could be delivered for Forest Hill, taking into account the results of public consultation and the listing of Louise House. This further work was to include examination of how Louise House and possibly the old pool building frontage could be incorporated into a new scheme. It would also assess the potential for other community uses, the scope for housing cross subsidy, the timetable, and the revised costs and risks for the project. At that stage, a stakeholder meeting was planned for 22nd January 2009. The Forest Hill Society, along with the Sydenham Society and Save the Face of Forest Hill were not happy with the previous consultation process. We felt that there had been no opportunity for a two-way discussion. As the autumn progressed, it became evident that the brief for the feasibility study was regarded as confidential. It seemed to us that excluding the community from the process of developing a brief was part of the reason that the plans presented in the summer were derailed so spectacularly. We approached local Councillors and officers for a meeting to discuss ideas we have for an innovative consultation event to draw up a brief which would then inform a design competition, as had been done elsewhere. This would provide real options for local stakeholders to consider, and does not have to be an expensive process. We had great difficulty in getting a meeting, but eventually it took place on the 8th January 2009. There was some initial disagreement about the purpose of the meeting, as the Council officers felt that they had been directed to hold the consultation in a particular way, and only really wanted to look at the sketch plans which a local architect had shared with the societies. These demonstrate that even with the retention of Louise House and the Pools frontage building, there is space on the site for two pools, changing and other facilities, along with some housing. It would still require demolition of the laundry block at the back of Louise House in order to have plant and chemicals access. This is not out of the question because even when a building is listed it can still be possible to change or demolish parts of the building, as long as a strong and comprehensive case is put forward for it - in this case focussed around the positive reuse and repair of the building for a community use. 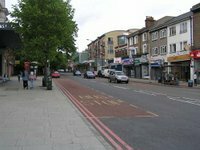 It was eventually agreed that the Forest Hill Society, Sydenham Society, Save the Face of Forest Hill and any other stakeholders would be able to table items for the agenda at the next stakeholder meeting. Thus we will have a forum to bring up our ideas about the consultation process. However, the Council officers are not prepared to have a stakeholder meeting until the feasibility study has been completed, and this will not be by the 22nd January date previously agreed but has be delayed to 5th Febuary. Yet again, the timetable slips.